Today we’re sharing with you a lovely engagement shoot by Rebecca Douglas of cute couple Lisa and Owen. 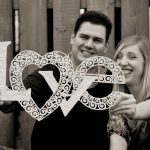 Lisa tells us their engagement story…..
“We first met in 2008 in Canterbury and were introduced by a mutual friend. She made it very obvious that she thought we would be a perfect match and Owen even joked that we should get married! Our paths didn’t cross for a while after that night as I was taking exams but Owen and I kept in touch and then arranged a date – we moved in together just 6 months later! For our anniversary last year Owen gave me a beautiful bracelet. He suddenly dropped to one knee and asked me to look inside the bracelet. Carefully engraved was ‘Will you marry me, Lisa?’! It was such a wonderful surprise! Massive congratulations to Lisa & Owen and thanks to Rebecca Douglas for sharing the shoot with us. Sometimes you can get wedding inspiration in unusual places and the Wealden Times Midsummer Fair is just one of our favourites. On from Thursday 6th June to Saturday 8th June at Hole Park, Rolvenden, the fair has got a huge range of suppliers exhibiting who are just fabulous at helping you create a wedding day with character. From cakes to coffee, bunting to beer with crafting and gifts galore it’s a great day out plus a brilliant way to see lots of suppliers doing what they do best. Plus as a bonus you can taste, feel and test everything so you really get a good idea of what you are booking for your big day. So our advice would be get your tickets, pull on those Hunters and be ready for some fabulous wedding inspiration. 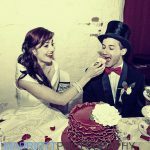 Make sure you pop over to Wedding Dolls favourites, Vintage Rose Cupcakes and Love Inc Ltd – tell them we said hello! In a new feature we’re bringing you one awesome shot from a wedding that really tells the story of the day. Our first is a beautiful image from the very gorgeous, Kerry Ann Duffy. Kerry tells us “I love taking beautiful photos but most of all I like to capture emotion and this photo gets me everytime I look at it. It was a beautiful moment shared between mother and daughter and I think it is so lovely.” So do we! Today is the turn of our very own Wedding Doll, Joanne Scott, to tell us more about being a wedding planner. Blog readers won’t need much introduction so we’ll go straight in and find out more…..
How did you become a wedding planner? I worked in PR and events but took a break to spend more time with my young children. 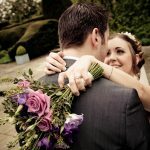 During this time I got asked to help with a few weddings on an ad-hoc basis and really enjoyed it. It’s so different from corporate events and I love the personality that you add to each day. I got the wedding bug and studied for a professional diploma in Wedding Planning. I work with the Bride and Groom to make sure they have the wedding they want and support them throughout with advice and guidance. I would never dream of taking over someone’s plans and telling them what to do! 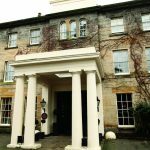 Our wedding service enables couples to make their own decisions and feel completely in control of their plans and ideas. 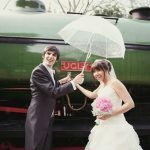 I get to know the couples really well and help them bring their style and personality into their wedding day. After all – it is all about them! What personality traits do you need to be a good planner? Obviously being professional, highly organised and good with juggling many different things is a massive bonus! However I do think you need to be compassionate and understanding. Getting married is very personal and you can’t stroll in and start being a Miss Bossy Boots! You need to be able to build solid relationships with suppliers and earn the trust of everyone you work with. Being a fun and friendly face is essential. The best has to be seeing it all come together on the day, I love going home knowing that our newlyweds are on the dance floor having had the best day – that’s what it’s all about for me. The worst is being on your feet for pretty much 12 hours straight. I hate wearing flats to a wedding but can’t survive the day without them! Normally first off is “Can I afford a wedding planner?” The answer is yes. We’ve got lots of different options to help any stressed out couple whether they can afford £50 right up to £5,000. Usually then they ask about how to go about starting their planning and working out their budget. We always get couples to imagine being a guest at their wedding and run through the experience of the day from start to finish. It helps to visualise what will be happening and when. Also don’t give the Bridal Party too many jobs to do. They’ll be busy themselves trying to get ready, be in the pictures and welcoming guests. Be realistic about what time they’ll have come the big day and never give jobs to people that can’t handle the pressure. What is your best piece of business advice to aspiring planners? Experience is key. Get involved in the events industry in as many ways as you can. Nothing beats hands on experience of how events run, learning how to get the most out of people and building good relationships. What has been your best moment as a wedding planner? No one moment stands out but I do always love taking five minutes every now and again to watch the Bride & Groom looking so happy and just enjoying everything happening around them. It means all the planning and hard work has paid off. We always tell couples to take a moment and look around their wedding to really take in the atmosphere – I do it all the time ! Thanks Jo and if you missed last week’s Dream Jobs with Photographer with James Grist check it out now! Todays inspirational style steal is from the unique team that is Bespoke Collective and was shot on location in the Mansion House at Port Lympne Wild Animal Park. Bespoke Collective is a brand new company made up of Matt Ebbage the photographer, JoJo Pepper the beautician, makeup artist and hairstylist Jessica Hawkins and the jewellery design talents of Faye Holmes. We really love the vintage vibe in this shoot alongside the sheer prettiness of the gorgeous lace dress. To find out more about the Bespoke Collective team visit their website.